Carol Agranat is a career strategist lauded for her strengths in getting young adults and transitioning professionals “network and job ready.” Carol founded Career Mapping Solutions after leaving the corporate world following years of mentoring and supporting young professionals through their career advancements and job searches. As an experienced client relationship manager and business development professional, with a successful 27-year track record in the financial services and technology industries, Carol brings a keen understanding of the need to strategically market one’s personal brand. It is this finely tuned instinct that she leveraged in her evaluation of numerous candidates she interviewed over the course of her career. Carol advises her clients on proper techniques, and the professional protocols and processes that allow them to optimize results in their search for employment. Carol received her B.S. in Business Administration with a major in Finance from the University of Colorado’s Leeds School of Business. In 1987, Carol launched her financial services career in Boston, where she still remains. 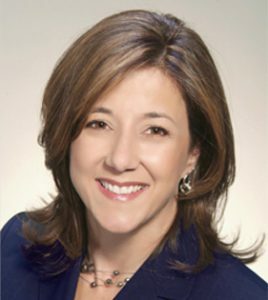 She currently volunteers as an executive mentor for Women Unlimited, LLC and is actively engaged with several professional organizations, including the National Association of Professional Women, Boston Women in Finance and Women’s Business Group Connects (www.WBGconnects.com). Carol is committed to her community and, specifically, to The Children’s Room (www.childrensroom.org) and Dana Farber Cancer Institute (www.Dana-Farber.org). Carol lives in Needham, Massachusetts with her husband, David, and she has two grown children who are currently pursuing undergraduate degrees at the University of Vermont and the University of Wisconsin.